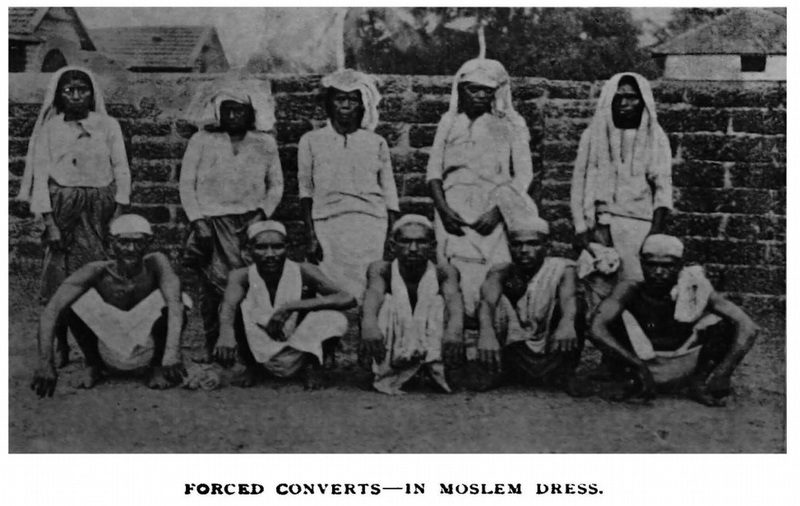 The first part of the article series, The Real Story of the Moplah Violence of 1921, covers the bloodshed, intense sufferings, torture, forceful conversions, cultural invasion, rapes and murders of the Hindus by the Moplahs (Muslims) in the garb of Khilafat movement. A lesser known and generally ignored chapter from history, it is a harsh reality that Bharat is facing even today. 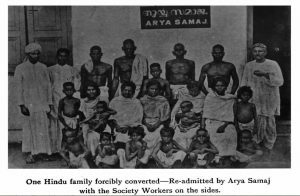 This part of the article covers the relief measures and steps taken to rehabilitate and reconvert the Hindus who suffered during that dark period. Many Hindus fled their homes and native villages to save themselves from the atrocities and cultural attack at the hands of the Moplahs. Living their lives in hardship to save themselves from losing their identity, they became refugees in their own country – we can compare this with the situation Kashmiri Pandits faced in 1990 and their still not being able to resettle in their homeland. The Central Relief Committee formed by the Servants of India Society. 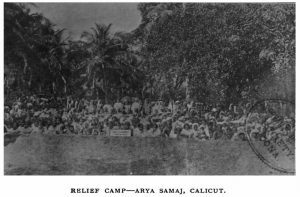 Relief camps were set up for the refugees. They were provided with grains, oil, food, clothes and other items of daily usage. Youth and able bodied among the refugees were asked to work and support. They were given monetary help as well, in form of loans or otherwise, to move back to their native lands and rehabilitate. But certain relief camps also faced troubles and attacks from the Moplahs. For instance, Kottakal Palace that was situated in the affected Ernad Taluk, faced attacks from a Moplah mob. It was an anxious time for the Kottakal family also. On one hand, they had to defend themselves and the palace from the frenzied Moplah mob. On the other hand, they had to maintain the refugees who were pouring into the palace for the help. However, the resident Karanavan maintained the traditions of the family by arranging both, for the defense and for the relief. The Kavalappara Kottaram was the residence of Lieutenant Kavalappara Moopil Nayar, the head of the ancient and aristocratic Nair family. It is this family that kept Moplahs out of their jurisdiction. They did not allow any Moplah to reside or hold land in any of the seven villages that came under their jurisdiction. Moplahs were only allowed in weekly market in the jurisdiction to sell-purchase goods. The Kolathur Tarwad (family), an ancient aristocratic family whose head was M. R. Ry. Sulapani Varier, suffered more than once at the hands of the Moplah fanatics. Moplahs, in past, had slaughtered an old man of the family into pieces, in an open paddy field, and had also murdered junior member of the family. Such incidents made the family take more precautions and to convert the ancient family building into a fortified mansion, strong enough to resist any ordinary Moplah attack. Thus, they helped the Hindu refugees suffering from the Moplah violence. 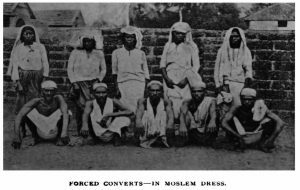 With a careful meeting among the Raja of Calicut, local administration and the Vaideekans (temple priests), various methods were developed to receive back the Hindus who were forcefully converted to Islam or were compelled to do things against the accepted rules of Hindu society. Various ‘prayachithams‘ – expiatory ceremonies – were decided to expiate the sins forced upon the victims. Such ceremonies included taking panchgavya (five products of a cow, i.e., milk, ghee, curd, urine and dung) in the temple and chanting ‘Narayana‘ or ‘Shiva‘ for few days. A certificate of prayachitham was issued by the temple authority and the same had to be submitted to the king. A very significant role in re-conversion of the forced converts was played by the Arya Samaj Society. When the news of a large number of Hindus in Kerala being forcefully converted into Islam reached Punjab, it shocked the Hindus there. Mahatma Hans Raj, then president of the Arya Pradeshaka Prati Nidhi Sabha of Punjab, Sindh and Baluchistan was moved to help the victims in Malabar. He sent Arya Samaj preacher Pandit Rishi Ram to Calicut. 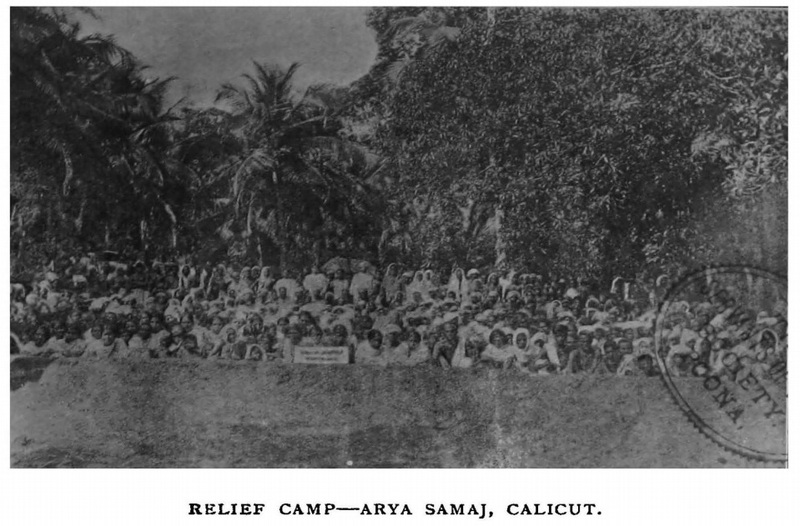 The volunteers and workers of the Arya Samaj not only provided relief to the Hindu refugees but also helped them to get back to Hindu Dharma. Certain orthodox people raised objection about re-admitting the forceful converts into Hindu Dharma. But Arya Samaj workers explained the matters to them and persuaded them to treat the re-converts as their own. As a result, many were restored to Hindu Dharma. There were a series of fanatical outbreaks, all directed against the Hindus. Despite providing the Moplahs with their special schools, road infrastructure and all other facilities of a civilized world, their fanaticism remained the same. Merciless killings of Hindus, for no specific reason, by the Moplahs created a dreadful environment for the Hindus, who used to believe in ‘Hindu-Muslim’ unity. Now lets compare this incident from the past to the present scenario that Bharat is facing. Hindus are still suffering from this religiously motivated violence against them. The demography of Kerala has changed drastically during all these years, so much so that the number of Muslim births has now overtaken the number of Hindu births. At this rate, Kerala might soon become an Islamic state as imagined by the tyrant Tipu Sultan. Even the population of a few thousands of Christians in 1921 Kerala has now grown manifold, so much so that the Hindu identity in Kerala today is at grave risk. In present day Kerala politics, the news of brutal killings of members of RSS or BJP or those standing up for Hindu human rights has become so common. There has been a steady increase in number of cases of Love Jihad. Kashmiri Pandits are already facing the perils of exodus due to Islamic extremism and it has become almost impossible for them to permanently return to their homeland Kashmir. Exodus of Hindus from Kairana in UP also tells a similar tale. It will not be a surprise if we might see a similar situation in Kerala and in West Bengal in coming years. We must remember that it is the Hindu culture, values and ethos that have made Bharat a land for all. So it is all the more important for Hindu Dharma to flourish to keep the essence of Bharat alive.